Resurfacing from the historical archives of Bonacina 1889, two seats that were out of production narrate the combination of skilled craftsmanship and modern language. They are the Silvia model designed by Paolo Tilche in 1960, and the T.54 by the Monti brothers from 1954, reissued thanks to De Padova. 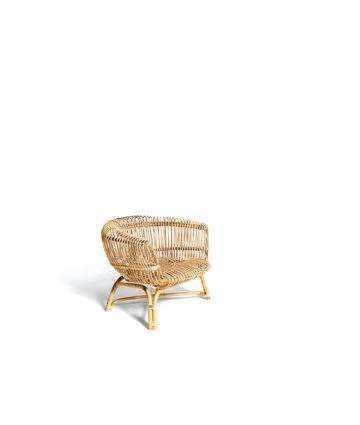 The first is made with rattan, tied by hand with reed bark, and it is a piece still vied for at vintage design auctions; the other is made with woven rattan on a double circular metal structure, and was a factor in the introduction of Modernism in the homes of the 1950s. 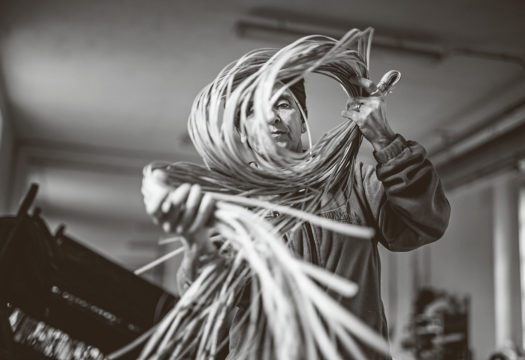 Due to the craftsmanship that sets them apart, all the pieces are unique and narrate an Italian story, that of the Bonacina family, which since the end of the 19th century in Lurago d’Erba, in the province of Como, transferred the techniques of basketweavers into the furniture sector, with products in rattan cane. The two reissues are the result of an idea shared by Roberto Gavazzi, CEO of Boffi Group, and Elia Bonacina, CEO of Bonacina 1889, to protect and enhance this historical memory. Also with a personal motivation: “Luca Tilche, my friend since childhood and the son of Paolo,” Gavazzi says, “showed me some of the products his father designed in the 1950s. He was a famous Milanese interior designer, as well as the founder of Arform, a company that imports objects for the home of impeccable taste. Among the pieces he showed me, there was the Silvia chair, and I immediately fell in love with it. 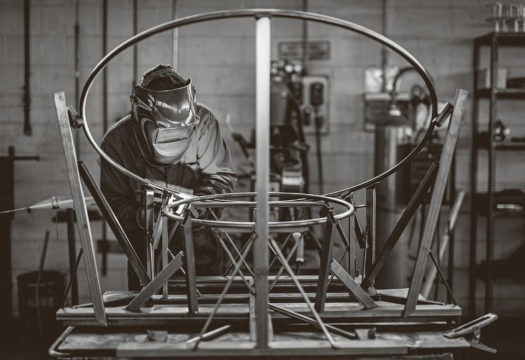 The two seats convey values that are sought after on today’s market, like the ‘handmade’ and ‘sartorial’ aspects. “Our clientele”, Gavazzi continues, “likes to be able to have a product in the home that is an expression of good design and fine craftsmanship. 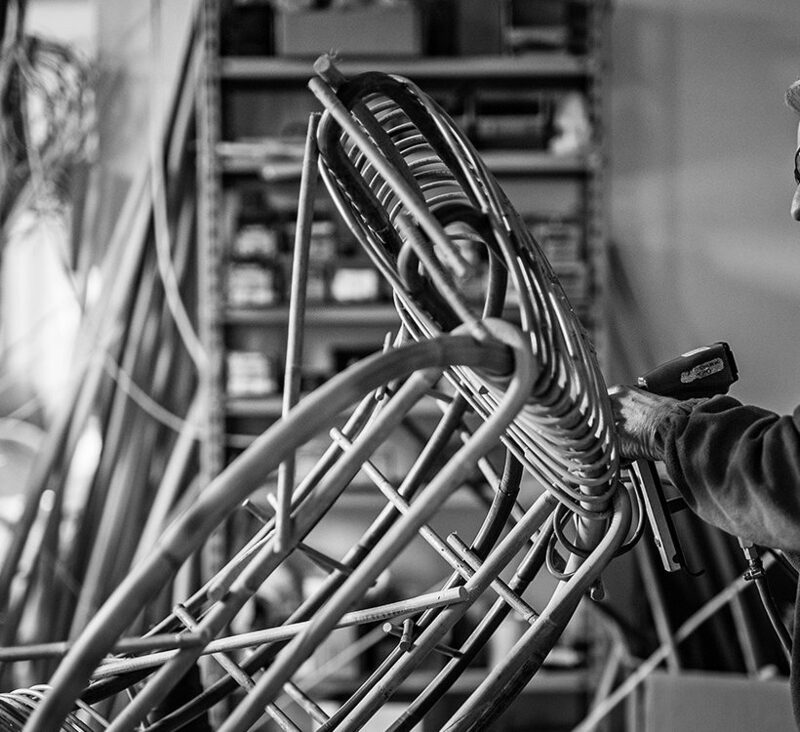 Bonacina still produces everything in Italy, with passion and a maniacal focus on quality. 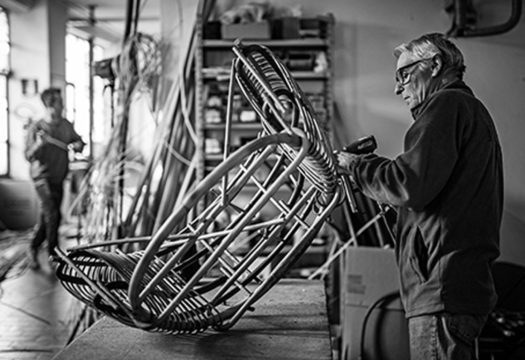 Both the chairs require over a day and a half of work by a single artisan. And careful selection of the raw materials. They are therefore very different from what is imported from Asia today. The Silvia chair designed by Paolo Tilche (1960, Archivio Storico Bonacina 1889) has a structure in Malacca and framework in rattan with binding in reed bark, finished with transparent acrylic varnish. 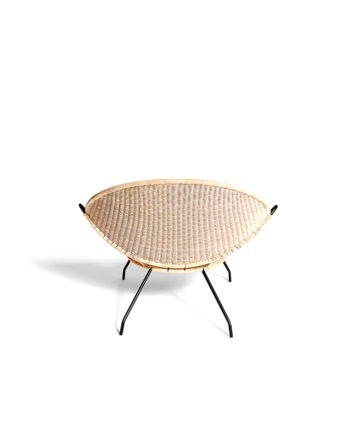 The T.54 chair by the Monti brothers (1954, Archivio Storico Bonacina 1889) stands out for its double circular steel structure and seat in woven wicker, equipped with two comfortable lateral handles. A phase of manual processing.